DeBonded Restorations are a source of confusion for many dentists. 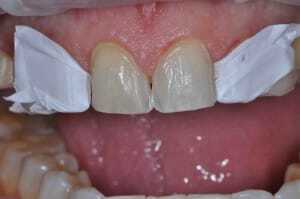 One situation that often baffles dentists is the debonding of a porcelain veneer. In the situation I am thinking of, all of the bonding resin stays behind and is well bonded to the tooth structure, so the veneer comes off clean. One of the important steps is to analyze where the resin is. This will allow us to figure our where the bond failure occurred, between the tooth and the resin, or between the resin and the porcelain. A bond failure between the tooth and the resin will require us to analyze our enamel and dentin bonding techniques. Ask your self questions like: Was their contamination and was my isolation adequate? Other questions are about the effectiveness of your etching process and application of dentin adhesive. On the other side of the equation is when the resin is bonded to the tooth and the restoration comes off clean. When this happens there are several things to ask as a way to problem solve. First is to ask the question: Was the porcelain etched with hydrofluoric acid? If you are etching the restoration in your office make sure you are following the manufacturer recommendations for strength of the hydrofluoric and the time of the etch. If you are not etching yourself, have you verified with the technician that they are? If the glass is etched prior to try-in, then it must be cleaned with phosphoric acid before cementation. Use your routine etching gel, and then rinse thoroughly. I also place the restorations in a Ziploc bag with distilled water and place in the ultrasonic for three minutes. The last step is assuring that the restoration was properly silanated. Make sure the silane is not expired, and is always stored properly. Silane should be applied to the restoration before cementation, allowed to sit for sixty seconds and then be dried thoroughly. In my experience is is rare to see a restoration come off and have resin in both places, although this is possible. Taking the time to analyze what happened and think through the steps of the process will go along way to making sure this is a rare occurrence.